Hi, my name is Emily and thanks for joining me through this early modern English recipe world! This blog page is dedicated to exploring the recipes, both culinary and medical, of the Boyle Family’s Recipe Book. You may be asking, “Who is this Boyle Family? Why does that name sound familiar?” Well, the Boyle Family is the family of the well-known chemist, physicist, and philosopher, Robert Boyle. As one can assume, many of the entries of this recipe book are written by the relatives of Robert Boyle. This recipe book was written around the late 1600s and early 1700s by mainly by two early modern English women: Katherine Boyle (also known as Lady Ranelagh) and Mary Boyle (also knowns Lady Orrery). According to the Oxford Dictionary of National Biography, Lady Ranelagh, sister of Robert Boyle, was a well-known political activist, intellectual, and medical writer of her time. She was also known as a great influential force on the development of her prestigious brother. 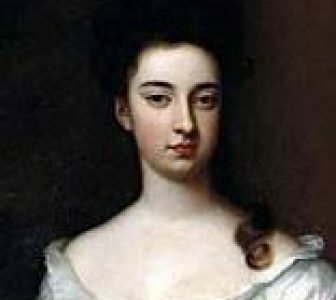 According to Michelle Dimeo, Lady Orrery, the sister in law of Robert Boyle, was also a major contributor to the medical and recipe writings of the Boyle family. She cared deeply about the health of her family and was greatly knowledgeable about medical treatments and recipes. Often times, people would come to her in need for medical advice. It is actually often a topic of argument which one of these two pioneering women was the major contributor to the recipe book. Overall, these two women and their familial relatives helped compose a recipe book with over 700 recipes spanning from treatments for ague, burns, and jaundice to culinary recipes for cakes, marmalades, and jelly. Take 12 Oranges, Rub them with salt, Grate or pare off the outer Rinds very thin, Quarter them, Take out the meat, and boyle the peels in fair water till they are very tender, dry them in a cloth, Beat them and to a pound of Peels take 3 pound of sugar, and a pint of Pippen Liquour, Mingle the Peels the Pippin Liquour and half the sugar together and boyle it apace strewing in the rest of the sugar as it boyls, then put in the Meat and Juice of your oranges which you must have in readiness (the seeds and skins being taken out) and the Juice of the two Lemmons added to them, make them scalding hot before you put them in and then let it all boyle so as to scumm it but no more. You may mince one half of the peel and Beat the other which dos best, Beat but a little at a time and as you beat it put it into the pippin liquour else it will look black if the oranges be China put the juice of Sevil oranges because their own is too sweet. The pippen Liquour is made by boyling about 40 or 50 pippins in a gallon of water as fast as you can till the pippins sink to the bottom, then strain it and take the clearest. You may put in ambergreece if you like it. As always when you are recreating recipes from hundreds of years ago, you are going to come across some unfamiliar terms in the original recipes. The terms I found myself concerned with were fair water, pippin, scum, China oranges, Seville oranges, and ambergreece. However, with the help of the Oxford English Dictionary and the recipes from fellow early modern English period recipe recreators, Marissa Nicosia and Regula Ysewijn, I was able to define these terms into modern understandings. Starting with fair water, I was able to determine the Boyle family was referring to clean, fresh water. Thankfully, due to modern day filtration and plumbing, I am able to easily obtain fair water for this recipe. The next unfamiliar word in the recipe that was perhaps the most confounding to me was pippin. However, again with the aid of the Oxford English Dictionary, Nicosia, and Ysewijn, I was able to determine that pippin referred to a type of apple in the day often used in culinary desserts. As a modern adaptation to creating pippin liquor by boiling apples in a gallon of water, I will be using apple juice in my recipe. The unfamiliar word of scum I discovered to mean clearing the surface of your solution from impurities or skimming. From the Oxford English Dictionary, I was able to determine that China oranges and Seville oranges are two types of bitter oranges that are often used in recipes of marmalade. Most likely named after their place of origin. Specifically, the China orange was believed to once possess great medicinal use and has a pleasantly acid pulp used for eating and making juice. Lastly, according the Oxford English Dictionary, the term of ambergreece refers to “a wax-like substance” found in “in tropical seas, and as morbid secretion in the intestines of the sperm-whale.” It was odoriferous and used in perfumery as well as cooking. As this interesting addition cited by the Boyle Family was quite unique and optional, I decided to not include this into my own modern recreation of the recipe. Let this new mixture boil until a jelly consistency is formed and then your marmalade is ready! Before I begin to lead you through my journey of creating this recipe, I must say there were times where I was confused on what to do and times when I slightly altered the recipe to create what I thought was best. Despite this, I had an amazing time recreating this recipe! Even though I have way more advanced technology and easier access to ingredients, I definitely feel inept when it comes to the experience and knowledge that the amazing women had that wrote this book! It was great to walk in the path of leading medical women writers and healers. I chose to half the original recipe and thus I only used 6 oranges. I first began by rubbing the oranges with table salt. Then, instead of peeling off the peels of the oranges before cutting the oranges, I chose to cut the oranges into quarters first. Then, I removed the meat of the oranges and placed them in a separate bowel for later. Next, I removed a little bit of the excess peel and meat of orange from the peel. Then, I made a slight deviation from the original recipe. Instead of leaving the peels in quarters to boil, I chose to cut the peels into several thin slices. I then placed these thin slices in a pot with fresh water and allowed them to boil till they were tender, which took about 30 minutes on medium heat. While the orange peels were boiling, I measured out 1.5 pounds of sugar and one cup of apple juice to use later on. The apple juice being the replacement for the recipe’s Pippin Liquor. Then, I squeezed one lemon and collected its juice in a separate glass. Once, the strips of the peel were tender and dry, I split them up in half. I beat half the peels with a fork in bowl and minced the other half of the peels with a knife. Next, I combined the beaten and minced peels with 1 cup of apple juice, and 0.75 pounds of sugar. Then, I placed this mixture on the burner and allowed it to slowly simmer to a boil. As it was simmering, I slowly added the rest of the sugar into the mix. Once fully mixed, I added the lemon juice I had obtained earlier and the meat of the oranges to the mixture. Once all of the components of the marmalade were mixed in, I allowed the mixture to boil and reduce the amount of liquid. Be sure to consistently mix and skim the mixture so as to prevent the sugar from stick to the pan and burning. I allowed the marmalade to boil on the burner for about 10 minutes. However, I would suggest boiling it for 7 minutes or less as I believe I over caramelized the sugar in the mixture. Although I overcooked the marmalade, it ended being a lot sweeter than I expected. After taste testing the tender peels, I was worried about it being quite bitter. However, on a piece of toast it was actually quite good! A great combination of bitter and sweet. According to Marissa Nicosia, oranges and other citrus fruits originated from the mountainous areas of India and China. There were three main types of oranges that were cultivated in these regions: the citron, the pomelo, and bitter oranges, which were often called as Seville and China oranges. Oranges and other citrons were believed to be prized in these regions for their culinary, perfumery, and medicinal properties. The arrival of oranges to Europe occurred during the Crusades when soldiers brought them back home with them. Nicosia cites that later in the early modern period new variations and types of oranges were further cultivated by wealthy farmers and gardeners around Europe and in the Meditteranean. Perhaps, the greater availability of oranges during this time period allowed for an increase in the use of oranges in early modern women’s recipes, such as marmalade recipes. According to the Dalemain House, it is thought the marmalade was developed from and associated with quince pastes. Quince and marmalade were thought to have become associated due to translations from different languages. According to the Oxford Dictionary, the word marmalade stems from the Latin words “malomellum” and “malum.” Food historian Ivan Day suggests that “quince pastes were variously known as marmalade (from the Portuguese ‘marmelo’” which means quince (History of Marmalade). It was believed that these quince pastes were a way to preserve fruit and were first brought to England in boxes from the Mediterranean. Over time in the 1600s, marmalade became the generic label for fruit preserves and pastes in Britain and overall Europe. One of the first recipes for orange marmalade, for a Marmalet of Oranges, was found in Madam Eliza Cholmondelay’s recipe book dated back to 1677 (History of Marmalade). This recipe required a several day long process of allowing the peels to soak in water and lacked the addition of lemon juice seen in the Boyle recipe. It was not until 1714 in Mary Kettilby’s recipe book, “A Collection of Above Three Hundred Reciepts in Cookery, Physick, and Surgery,” where the addition lemon juice was seen to be added into marmalade which allowed for a pectin set in marmalade. According to the Dalemain House, the production of marmalade was not only done for the enjoyment of eating but was used by herbalists to help with digesting. It was suggested that the bitter rinds of orange cooked soft in syrup allowed for the soothing of the stomach, specifically, warming the stomach, breaking wind, and digestion. The process of recreating an early modern English recipe was definitely a very interesting and educational experience. I gained an immense amount of knowledge on the history of oranges and marmalade. I did not know before this that oranges were used in the 1600s as medicinal treatments. I also became much more familiar with the terms, language, spelling and grammar of the time period. It is amazing to me that so many women dedicated such a large amount of time experimenting, creating, and writing down all of these recipes. I recreated one recipe which took me multiple hours so I cannot imagine how much work, time, effort, and resources these women put into their recipe books. Especially when I consider that they did not have access to the internet to “google” properties of certain foods and how to make them, and they did not have modern electricity, plumbing, and gas systems to help make and “boyle” their treatments and food. Overall, I have high praise for women, such as Lady Ranelagh and Lady Orrery, who took time out of their lives to create, test, and record several upon several recipes to pass on. Boyle. “Boyle Family.” Wellcome Library. Accessed March 09, 2019. https://wellcomelibrary.org/item/b19703181#?c=0&m=0&s=0&cv=0&z=-0.0787,-0.0364,1.1575,0.7271. “History of Marmalade | Dalemain Mason & Historic Gardens.” The Dalemain Estate, http://www.dalemain.com/the-history-of-marmalade/. “Jones [née Boyle], Katherine, Viscountess Ranelagh (1615–1691), Noblewoman Associated with the Hartlib Circle | Oxford Dictionary of National Biography.” Oxford Dictionary of National Biography. November 10, 2017. Accessed March 09, 2019. http://www.oxforddnb.com/view/10.1093/ref:odnb/9780198614128.001.0001/odnb-9780198614128-e-66365. Kettilby, Mary. A Collection of above Three Hundred Receipts in Cookery, Physick and Surgery: For the Use of All Good Wives, Tender Mothers, and Careful Nurses. By Several Hands. To Which Is Added, a Second Part, Containing a Great Number of Excellent Receipts, for Preserving and Conserving of Sweet-meats, &c.London: Printed for Mary Kettilby, and Sold by Richard Wilkin, at the Kings-Head in St. Pauls Church-Yard, 1728. Michelle DiMeo. “Lady Ranelagh’s Book of Kitchen-Physick? : Reattributing Authorship for Wellcome Library MS 1340.” Huntington Library Quarterly 77, no. 3 (2014): 331-46. doi:10.1525/hlq.2014.77.3.331. Nicosia, Marissa. “Making Marmalade with Hannah Woolley.” Cooking in the Archives. February 27, 2019. Accessed March 09, 2019. https://rarecooking.com/2019/02/27/making-marmalade-with-hannah-woolley/. Ysewijn, Regula. “Bitter Seville Orange Marmalade – A Potted History and How to Make It.” Miss Foodwise. March 27, 2018. Accessed March 09, 2019. http://www.missfoodwise.com/2018/03/bitter-seville-orange-marmalade-make.html/.